From his vast and remarkable storehouse of memories, Ed Mack Farrior now calls forth his best recollections, reconstructing them here in narrative form with clarity, humor and depth. “Reflections on Bird Dogs and the Men Who Handled Them” is a window in time, a quick glimpse at the heroes of a bygone era. 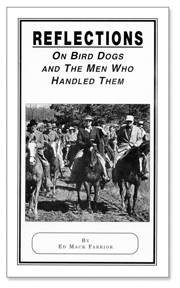 Originally self-published Reflections on Bird Dogs and the Men Who Handled Them is out of print and a used copy is a rare find. Strideaway is pleased to announce we have been granted permission to redesign and republish the book! 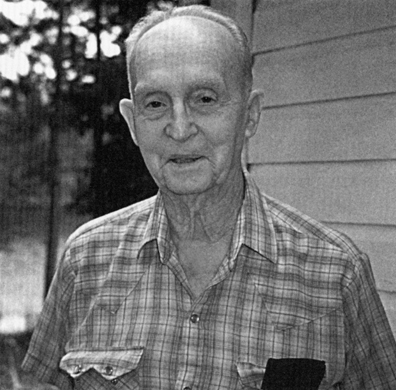 We are in the process of locating the photographs. Additional photographs to add to the new edition would be much appreciated. Stay tuned on the timing of the book’s publication!